Apple’s upcoming iOS 12 update is a big deal. With several new features in offer, iOS 12 promises to revolutionize the Apple experience. One of the hallmarks of the sizzling update is a new feature called Business Chat. 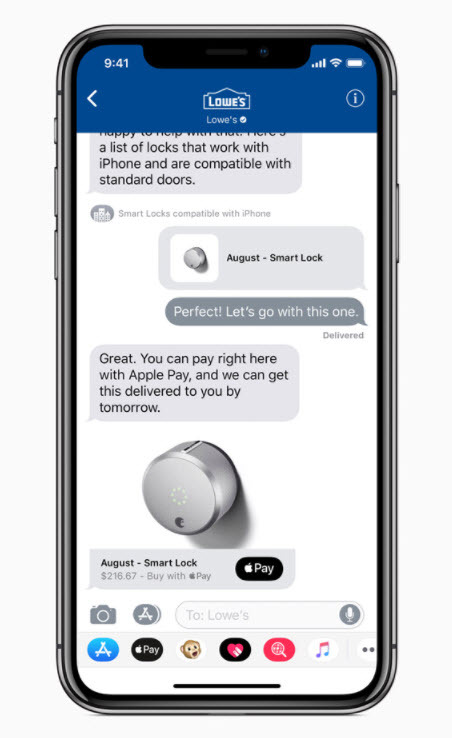 Chat directly with select companies like Wells Fargo, Lowe’s, Hilton and Discover through the iMessage app: This would be the starting pool of companies that you can chat with but it is likely that more will be added. Buy goods right from your iMessage app: You won’t have to go to the company’s website to order goods. Make bookings directly from your message app: For instance, you can book appointments or plane tickets directly. Chat with support without stress: You no longer have to visit the company’s website or sit around talking to support before you can have your issue sorted. You can contact them and chat about your issues whenever you want. Enjoy anonymity: Your contact details will be kept anonymous and you can stop chatting at any time you want. However, there is worry about business chat in iOS 12. What if your device being hacked or private data being leaked? Apple doesn't mention it. But we, iOS 12 users, to protect our privacy, should take some actions. Don't just let the business chat stay on your iOS 12 device. What if your devices is hacked? But also note that it’s not safe to manually delete business chats as they are not completely overwritten. To secure your business chat, you should make deleted business chats gone forever. In this case, you should take advantage of iPhone special tool, like iMyFone Umate Pro iPhone Data Eraser Win/Mac. 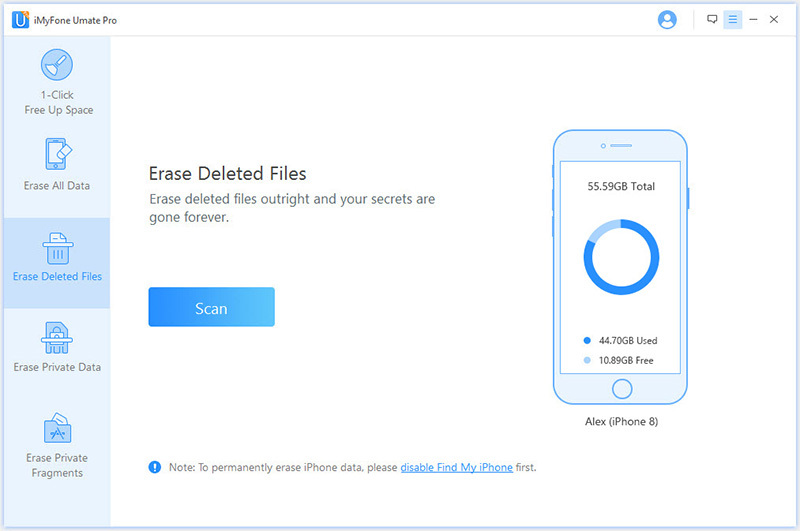 Umate Pro is specialized in permanently deleting iOS data and making it 100% unrecoverable. It’s fully compatible with iOS 12 and business chat is supported to erase. Completely erase any existing or previously deleted messages or business chat with 0% of recovery. Also wipe third-party app messages, like WhatsApp, Viber, Kik and WeChat. Clean message cache in one click for free. Thoroughly remove all the traces or fragments left by Snapchat, Facebook, Twitter, WhatsApp, Chrome and more apps. Umate Pro iPhone Data Eraser is strongly recommended by lots of profeassional software review sites, like getintopc.com, MacWorld, APPKED, and 50+ more. You can trustingly download to have a free try and relievedly enjoy the full erasure to secure your private data. Step 1: Connect your Apple device to a pc via cable. If you are connecting to the computer for the first time, you need to first “Trust” the computer on your device. Step 2: Choose “Erase Private Data” if you want to delete existing business chat. Or choose “Erase Deleted Files” if you want to erase deleted chats. Then let it scan. Step 3: Once the scan is complete, you can now preview the Business chat or other private data. Select all the files that you want to permanently erase. Step 4: Click the “Erase Now” button to permanently delete the data you have selected. Please note: the erasure is irreversible. 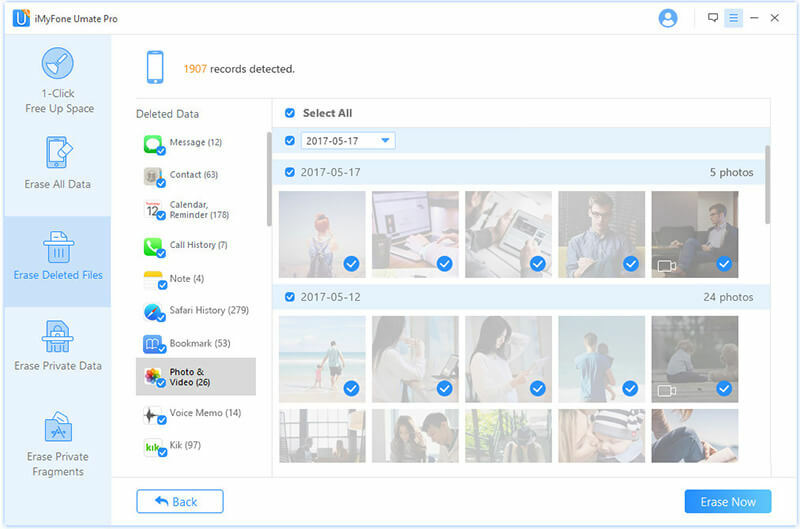 Once you delete data with Umate Pro, you CANNOT recover them anymore. A new Safari version 11.1 that offers you improved protection against memory corruption and code execution attacks. It sports great features like service workers, payment request, security improvements and web inspector updates. 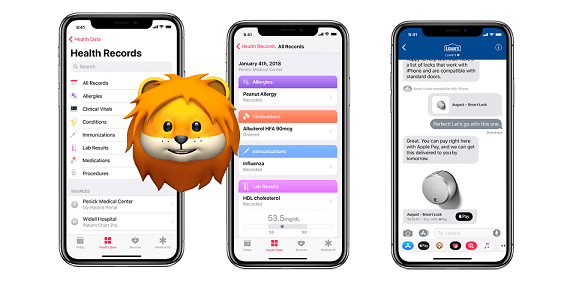 iOS 12 users can look forward to better password autofill, better reading experience and advanced protection against cross-site web tracking. A new Health Records app that streamlines all your medical data across health providers. Users would be easy to find their available medical data from multiple providers. And don't worry, your lab result, medications, conditions and any other health records data is protected with password. New HomeKit software authentication that allows you connect your smart home gadgets with ease and Advanced Mobile Location (AML) that automatically texts your location to emergency responders when you call emergency services. 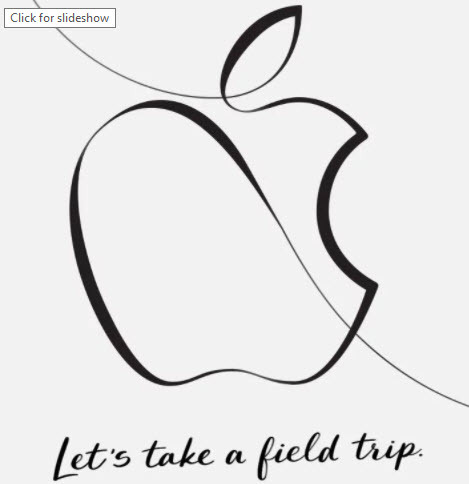 There are few times every year when Apple holds events to provide anything about the new products or systems. Though Apple doesn't release the specific schedule in 2018, but we can speculate it according to the history. iPad: It would be a cheap iPad as it's perfect for a schools market. We can also expect an update for iPad mini. Apple Pencil 2: The next version of the iPad 9.7in would support the Apple Pencil as it hasn't been updated since 2015. MacBook Air: A cheap laptop is highly portable. We can expect an update for MacBook Air in this event. iPhone SE2: iPhone SE is a popular iPhone, being both the smallest and the cheapest. It now seems more likely Apple will give an update for iPhone SE. TV Content: We are not sure Apple will make update for the TV content or not as there's no obvious education connection. Mac mini: Apple still put Mac mini in the important thing. But would there be an plan to update it? Let's wait and see. Mac Pro: Apple claimed that Mac Pro is working on, so we can ensure that we will get a first look at the new Mac Pro during WWDC. But we don't expect it will be available to buy until much later in 2018, or maybe even 2019. New Apple Display: Apple also unveils that the new display it's working on. We expect to get more details about it. iMac, MacBook, MacBook Pro and MacBook Air: Apple are likely to reveal updates to its range of Macs. iMacs and MacBook Pro will get more attention. In September 2018 event, we are possible to see the launch of the next iPhone (or iPhones) and what Apple will call it. We expect to see an iPhone 9 (and iPhone Plus), and possible an iPhone Xi (or iPhone 11) in this event. If Apple doesn't release the iPhone X Plus, we may also see a Plus model in September. 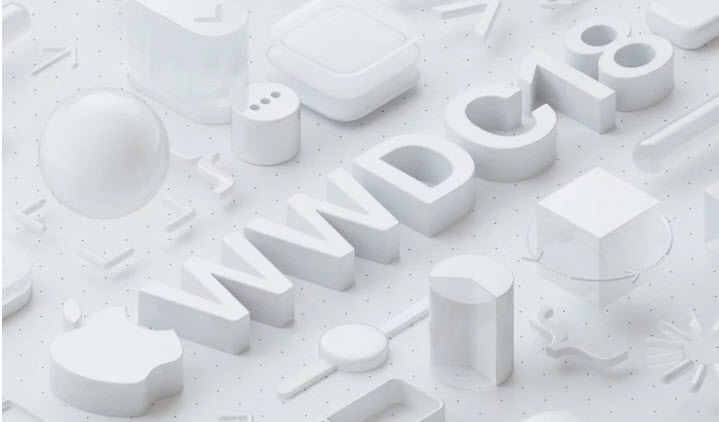 Apple will accounce when the final from of the latest version of iOS 12 and macOS 10.14 will become available to the public, which would have been released earlier at 2018 WWDC event. In September 2017, Apple announced Apple Watch Series with LTE. So we expect Apple Watch updates will be available to the public in September 2018. In the past, Apple sometimes followed up the September event with another smaller do in October. It has undrapped iPads and updated Macs in that event before. This event doesn’t always happen. For exmaple, Apple didn't hold October event in 2015 and 2017, but it held an event in 2016 which unveiled the MacBook Pro. iMessage Out of Order in iOS 11/12? Fix It Now!